sezsell has no other items for sale. I bought one of these right here on Ebay back in 2011. And all I can say that it is a SUPERB SCOPE WITH RAZOR SHARP OPTICS THAT LEAVES DEPARTMENT STORE SCOPES IN THE DUST. I was a bit bewildered when it first arrived, but I soon got the hang of it. Also, I got it for a very nice price. 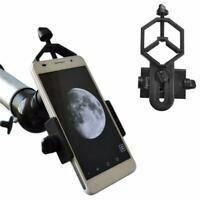 With its refractor optics, it certainly outperforms any reflector of similar size. If you bought this for the GoTo mechanism than I suggest that you wait until you've read the entire manual, otherwise you might end up mad because you believed that the GoTo would work in a matter of minutes, just like the ads stated. Don't forget, the people who wrote those ads are experts, they barely have to read the manual! Though the aperture is small, I could still see tons of wonders from my light-polluted town 11 miles north of Boston. The Pleiades M45 and Andromeda M31 were clearly visible even as I stood under a street light, with my only protection a bunch of leafless branches from my tree! I only have an eyepiece that goes up to 39x, with that I could see plenty, including the Moon, Jupiter, and Saturn. I recommend that you buy a 40mm eyepiece to find objects because when you look at something with more than 15 times the aperture of your eye, millions (literally, millions!) of more stars come into view through high magnification, which makes finding some objects a headache. This scope will certainly leave your dep. store scope in the dust, you might not even consider using it ever again! 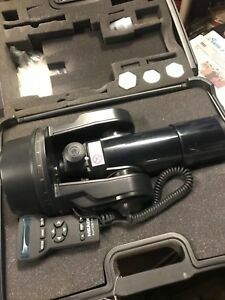 With that, I would say, my final conclusion is that this is a good lifelong investment for the beginner or an excellent portable second scope for those owning large reflectors.